As normal, the courses will run for four consecutive Sundays. We are having some issues with our email service at the moment. If you have been in touch and haven't received a reply please re-send your message to this address. We're working on a solution to this. We are a relaxed and friendly club based near the market town of Ormskirk in West Lancashire. We were founded in 2006 and based at the Burscough Cricket Club until 2011, when we moved to our new home at Asmall House Livery Stables. We have grown steadily over the intervening years with a strong membership ranging in age from 10 to 70 plus. 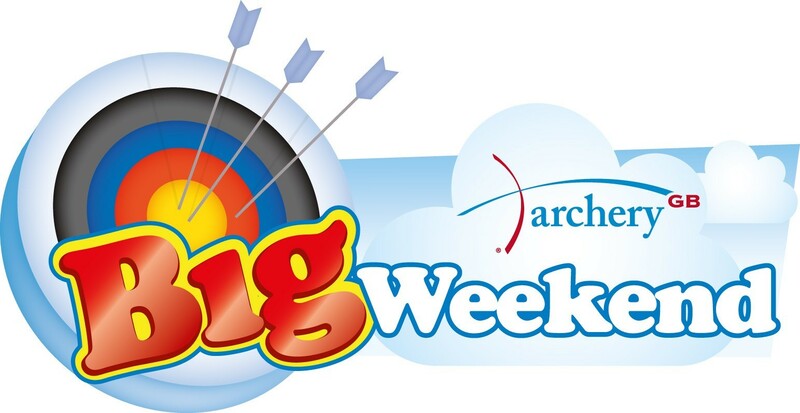 As an Archery GB affiliated club, we strive to raise awareness of both our club and sport, taking archery into the community at summer fetes and After School Clubs and offering have-a-go days during the summer. We offer gift vouchers for our beginners courses and hold special events like, birthday parties, stag and hen do’s, and private have-a-go sessions by prior arrangement. These are ideal for that slightly more unusual present or for organisations wishing to try archery. We have 7 day access to our shooting range all year round, with the more formal club meetings being held on Tuesday and Thursday evenings during the summer and Sunday mornings all year round. During the winter months we transfer to the stables indoor riding arena where we shoot on Tuesday evenings. We offer facilities for shooting traditional and Olympic recurve bows. Sadly, due to range limitations, we aren't able to cater for compound bows. If compound is your thing, please get in touch with Lancashire Archery Association - they'll be more than happy to help, and there's contact information for them on our Links page. We are happy to welcome guests, as long as they are current Archery GB members and can show their membership card on arrival. Visitor fees are ₤3 per session or ₤10 per month. We also now offer associate membership at ₤60 per year. 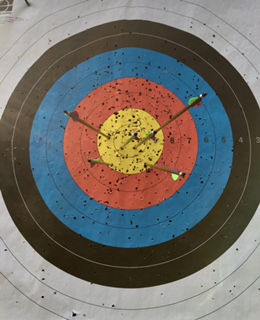 If you are interested in Archery as a sport then please give one of our Coaches a call and enquire about our beginners courses which run throughout the summer from April until September.